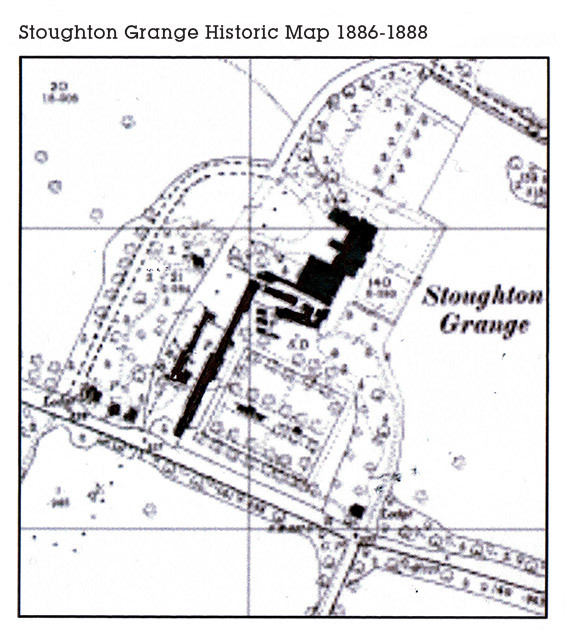 The modern day site of Stoughton Grange and the surrounding countryside hides a wealth of history. Going back as far as William the Conqueror and the Domesday Book first drafted in 1086, the land around ‘Stoctone’ is recorded as being granted to Hugh de Grentemaisnell. By descent, the land is then passed to Robert Bossu, Earl of Leicester, who founded Leicester Abbey in 1143. In 1157 he presented Stoughton to the Abbey and the land soon became one of the Abbey’s principal farmlands or granges, with extensive arable crops and pasture for livestock. Over the next 400 years the Abbots improved and increased the size of the estate with Abbot John Penny erecting Stoughton Grange in the 15th Century. Following the dissolution of the monasteries by King Henry VIII’s between 1536 and 1541, the land was transferred to the Crown. In 1543, as part of dissolution, a property called the ‘Grange of Stoughton’ was leased by the Crown to John More, a member of the royal household. From then the property was occupied by a succession of favoured gentry until 1560 when Stoughton Grange was ‘granted’ by Queen Elizabeth I to John Harrington and George Burden. They in turn sold on the property to Thomas Farnham and from this point onwards the house known as Stoughton Grange descended with the Manor (adjacent to the present church in Stoughton Village) and was occupied by the lords of the manor. For 200 years the estate remained in the ownership of the Beaumont family until 1737 when Sir George Beaumont died a bachelor and the estate was inherited by his surviving sister and nephew, William Bushby. Bushby’s daughter, Anne married Anthony Keck and the property remained in the family for a further 200 years until Henry Leycester Powys-Keck, who was the last member of the family to have full possession of the estate. When in 1912 Henry died, the estate was offered for sale by Warner, Sheppard &Wade in 1913, with a total of 6,700 acres (approximately 10.5 square miles) but much of the estate failed to sell at that time. In 1919, the Co-operative Wholesale Society Ltd bought some of the estate for £24,000 including Stoughton Grange. 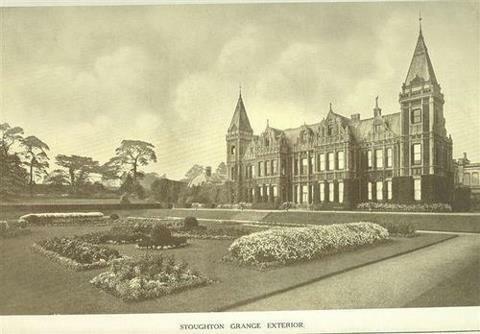 For reasons unknown, the main house at Stoughton Grange was demolished in 1926. The walled garden which originally contained the vegetable gardens, orchard and conservatory was sold in 1930 and a house built within. This house is called ‘The Pantiles’ and was designed by architects Pick, Everard, Keay and Gimson. The Co-operative Wholesale Society Ltd owned most of the land in and around Stoughton and by 1954 it farmed over 4,600 acres concentrating on milk production with over 555,000 gallons produced from almost 900 dairy cows. The main dairy and farm buildings were at Grange Farm and a number of these buildings have been converted to shops, offices and leisure facilities to create the Stoughton Grange Rural Centre.